Restaurants aren’t sticking to strict categories anymore. There’s sort of an anything-goes mentality when it comes to food service, from serving deconstructed spaghetti to dining in the dark. But while it can sometimes be beneficial to hop onto a fast and furious trend, classic dining will never go out of style, and there’s still a lot to learn about the concept of fine dining and how it can help your restaurant. In any restaurant, the food should be the star. Fine dining restaurants should place a substantial degree of emphasis on all aspects of their food – from selecting premium ingredients to preparation methods to plating. Because of this, food is often far more expensive and served in smaller portions. What are the takeaways? While you don’t need to make a work of art out of every dish at your fast-casual chain or use foreign-imported cheeses at your laidback Italian restaurant, it never hurts to think critically about your food and how you present it. In any fine dining restaurant, you should expect high-quality customer service. Servers tend to be well-trained to handle complicated orders and they have thorough knowledge of a restaurant’s food and drink offerings. They’re not just there to remove plates – they’re valuable resources to the customer. No matter what kind of restaurant you manage, your hosts/hostesses and servers make a huge difference in how diners perceive your business and in whether or not they will return. 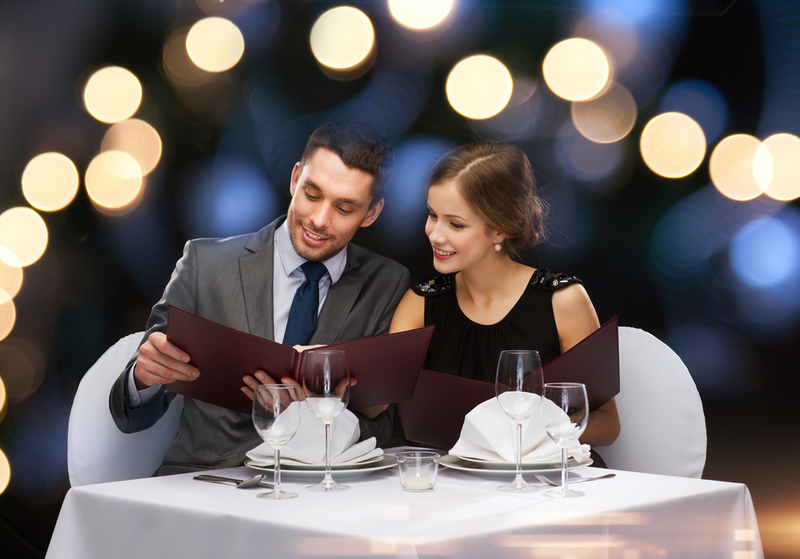 Educate your staff thoroughly on your restaurant menus and general policies and evaluate them on their relational skills. Fine dining is all about quality – and that quality should extend to items like your dishes, glasses and linens. Most fine dining establishments still use real linen napkins and tablecloths, because they understand that it enhances the customer experience. Adding high-quality cutlery, dishware and linens to your restaurant is an instant way to elevate your restaurant atmosphere. At Republic Master Chefs, we provide superior restaurant linens to a variety of food service businesses – from casual establishments to fine dining restaurants. Every restaurant deserves cost-effective, durable and stylish linens. Not all fine dining restaurants look the same these days, but they all have a cohesive theme and general atmosphere. Fine dining restaurants are detail-oriented, and a lot of time, thought and energy goes into creating a dining atmosphere that complements the food and provides an enjoyable and unique experience for the customer. Your customers will appreciate that you put effort into aspects of your restaurant like the lighting, music and decor. Reassess your dining atmosphere and ask what you could do to improve! Often it’s something as small as rearranging your tables or removing unrelated wall decor. In most cases, the details that fine dining restaurants implement can cost a lot of money, but your restaurant can be detail-oriented without breaking into a bank. Choose Republic Master Chefs linens to add a touch of sophistication to your dining room! We provide everything from napkins and tablecloths to chef coats and kitchen towels. Contact us today for more information.